Owning a pet is a big responsibility that includes caring for their physical needs (food and shelter), showing them affection and protecting them. Animal welfare organisations play an important role in society. They make sure that vulnerable and high-risk animals are treated humanely. They also offer their services at a fee that’s in line with your income. Prevent animal abuse and cruelty. Offer veterinary services at their welfare hospitals. Offer education on responsible pet ownership. 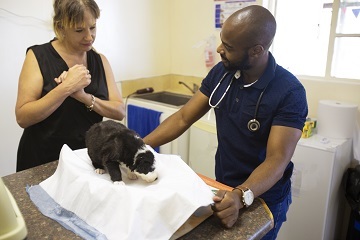 They take care of injured, abandoned, feral (wild, undomesticated, untamed) cats and dogs. They offer safe adoptions of domesticated animals. Make sure that farm animals and wildlife aren't mistreated. Visit disadvantaged areas with mobile clinics. Some animal welfare organisations help with the prosecution of animal cruelty cases. Most of these organisations are non-profit organisations and depend on donations to keep their doors open. You can donate money, cat and dog food, pet blankets and support their fundraising events. Contact your nearest animal welfare organisation to confirm what donations they are most in need of or to volunteer. According to the Animals Protection Act declawing of cats and the tail docking (surgically removing parts of or the entire tail of dogs for non-medical reasons) are illegal and a criminal offence. The SA Veterinary Council is opposed to surgically changing the shape of a dog’s ears (ear cropping). These procedures are painful even if it’s done professionally. Dog fighting is a very cruel and violent ‘sport’ and mostly forms part of criminal activities. The National Council of SPCAs offers a reward up to R15 000 for any information about dog fighting that leads to the arrest and conviction of those involved. Own, train or breed animals for fighting. Buy, sell or import these animals. Encourage animals to fight each other. Allow these dog fights to happen on property that you own, live in or oversee. Promote animal fighting for money or entertainment. Watch a dog fight or being on a property where this takes place. If you're found guilty of dogfighting, you can be fined up to R300 000 or be sentenced up to 15 years imprisonment. You’ll have a criminal record and will not be allowed ownership of animals if convicted. Never leave a dog alone in a car. If there isn’t proper ventilation, then the car can become extremely hot. Even if your car windows are opened slightly it will not cool your car enough for your dog. 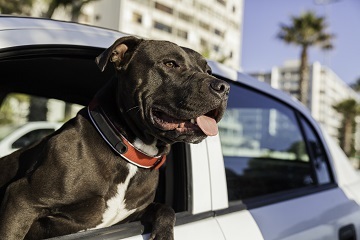 Take down the car make, colour and registration number and have the owner paged at the closest building to alert him/her to the animal’s distress. Contact your local SPCA (see below) or SA Police Services immediately. Don’t leave the scene until the situation is resolved. Make sure all animals have identification. Provide them with something to do such as giving your dog a chew bone or lots of catnip or a catnip toy for felines. If your pets react badly to fireworks, then seek professional advice from your veterinarian. Ensure your pets have a hearty and nutritious meal around nightfall. This will make them more likely to be sleepy! Don’t buy puppies or kittens from people walking around with them, trying to sell the animals. Your intention is good as you don’t want them to end up hurt or in the wrong hands. This, unfortunately, creates a market for people, that don't have the animal’s best interest at heart, to sell them. This practice escalated to where these pets are hurt/mutilated to make for an easy sell. Report people that are guilty of these acts to the Police or animal welfare organisations.